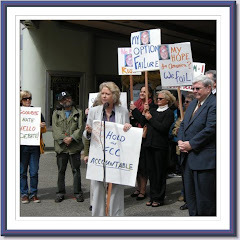 The Media Action Center has published its "Petition to Deny" the renewal of the broadcast license of KDND-FM, the Entercom radio station in Sacramento found liable for the 2007 death of Jennifer Strange in a water drinking stunt. November 1 is the final day for the public to challenge California radio stations' licenses in the 2005 - 2013 license renewal period. The pleading documents that not only did KDND staff know they were promoting a stunt that could kill someone, they never informed contestants of that fact. It further documents that Entercom staff and management had no training in safety procedures for contestants, and completely ignored contestants who became violently ill throughout the course of the contest. Furthermore, the pleading shows that once Entercom management learned of Mrs. Strange's death, they chose not to call other contestants to warn them of potential hazards to their health, choosing instead to call attorneys. In addition, it shows that Entercom has engaged in a pattern of conduct which proves it does not have the character qualifications to hold an FCC license to broadcast, including indecency violations, payola, defamation of character, deceiving listeners, and more. "The question is not whether Entercom deserves to lose its license to broadcast, but rather will the Federal Communications Commission act?" says MAC director Sue Wilson. "Another 'Petition to Deny' KDND's license was filed November 1, 2005, and has never been adjudicated. If it had, it possible that Jennifer Strange would be alive today." The FCC is the Federal agency tasked with overseeing broadcasters so they serve the public interest. Wilson will go to the FCC November 13 and 14 to insist that the agency acts on this Petition, as well as many others that have languished for years. Who's Accountable for Reckless Broadcasting?